Lotus driver Kimi Raikkonen was thrust into the limelight on Thursday after Mark Webber surprised everyone – including his employers at Red Bull – by announcing that he will retire from Formula One at the end of the season. It’s not a position the media-shy Finn, who is favourite to replace Webber at Red Bull, enjoys. But ahead of this weekend’s British Grand Prix, Sportsmail tracked down the 2007 world champion to find out where his future lies, his title aspirations this term and why he isn’t bothered about breaking Michael Schumacher’s points record on Sunday. Q: Kimi, you’re 42 points behind Vettel. After the Red Bulls dominant display in Canada, do you think the championship is now beyond you? KR: No I don’t think that the championship is over. You never know what is going to happen and we’re not even halfway through the season yet. It would take just two bad races for Sebastain Vettel and two good races for me to be back on top so we will see what happens. The aim is always to win, and there’s still a good chance so that’s what I’ll work for. Q: The British Grand Prix is one of only seven races in Europe this season. What do you make of there being so few races at traditional tracks on the calendar? KR: It doesn’t make much difference. The tracks are all different and challenging in their own way and there are some very good circuits outside of Europe, like Suzuka for example, so as long as the track is good, I don’t mind where it is. Q: You’ve been involved in a number of incidents with Sergio Perez this season. How would you rate the standard of driving in your second stint in F1 in comparison to your early years in the sport? KR: The standard of driving never really changes – you will always have experienced drivers and you will always have new ones who are a bit younger and are just starting out. When you reach Formula One, your level of driving has to be a certain standard otherwise you won’t last long.It’s frustrating when it affects your championship, but everyone goes through it. Q: You appeared to lose interest in the sport during your time with Ferrari. Can you explain why that was? And how different is the environment at Lotus? KR: Life at Lotus is good – the team know what they are doing and I think we are very strong together. Everybody knows I just like to drive, but at Lotus I’m allowed to be myself and they respect who I am. It works well and I feel very comfortable here. Q: You could break Michael Schumacher’s consecutive points record this weekend if you finish in the top 10 on Sunday. How would that rate among your other notable achievements in the sport? KR: To be honest I don’t really care about records. It is what it is, and it’s never my aim. The aim is just to do well and to win always. Q: Who is the driver you most enjoy racing directly against and why? KR: I don’t really have one favourite – it’s not just about who you are racing against, it’s more often the situation. It depends on the corner, or the overtake, or the battle that you have. You just hope that there is enough experience and respect that to keep it clean and strong. Q: If there was one thing you could change about Formula One, what would it be? And why? KR: People ask this quite a lot. I probably wouldn’t change anything, just the amount of media that I have to do! F1 is what it is and part of the challenge is learning to adapt to the new rules and changes. So if you don’t like it, don’t do it. 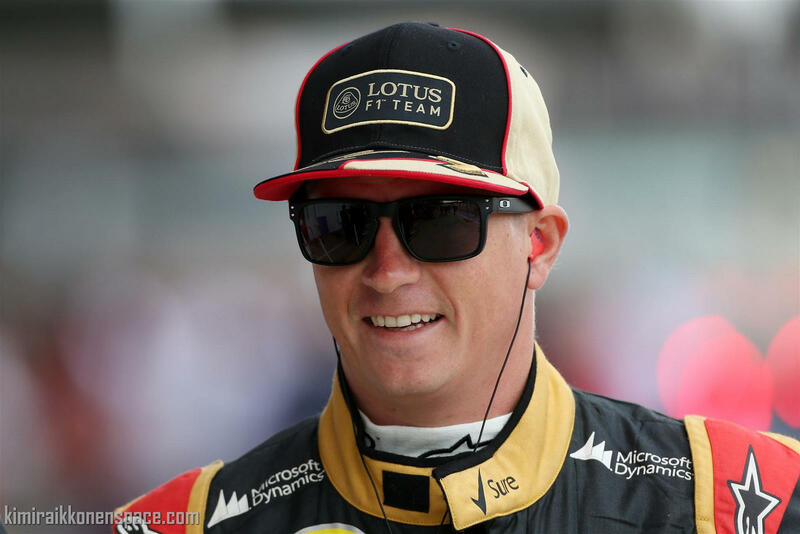 Q: Your contract with Lotus expires at the end of this season. Would you relish the opportunity to join Red Bull and race alongside Vettel next year? KR: I don’t pay attention to rumours and I’m not thinking about my future right now. We’ll see what happens, my focus is on racing with Lotus and winning races. Q: Lewis Hamilton or Jenson Button… and why? KR: I wouldn’t pick between the two. They are both cool guys and good drivers in their own right.